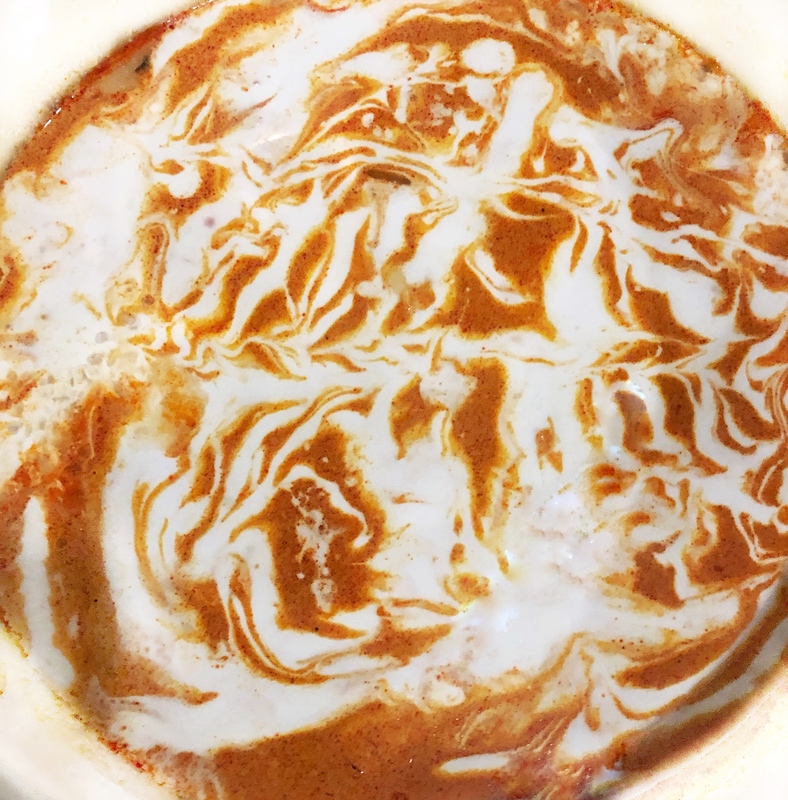 When I eat at an Indian restaurant, the dish I always want to order is Butter Chicken! It’s my favorite flavor combo. 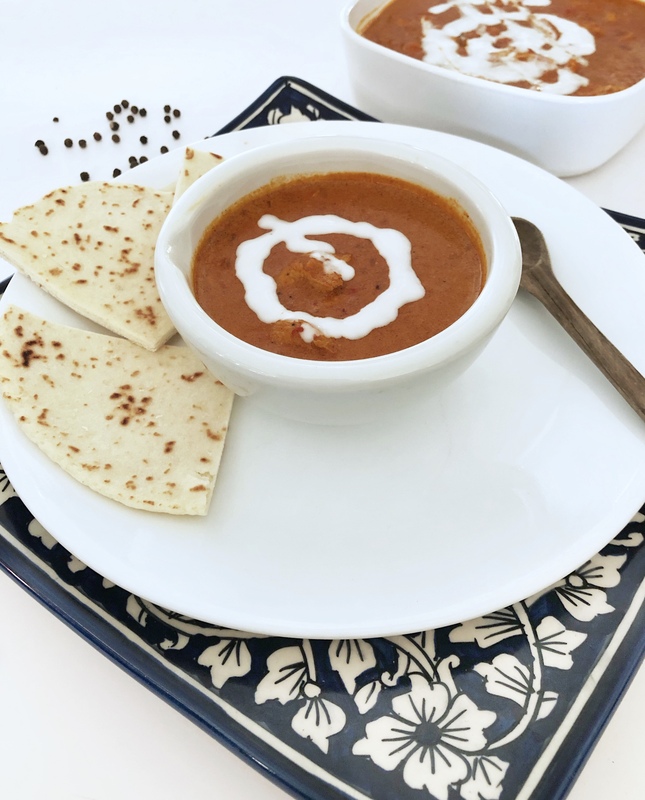 While in India this past week, our friend Flora shared her recipe and method for making this classic Indian entree. 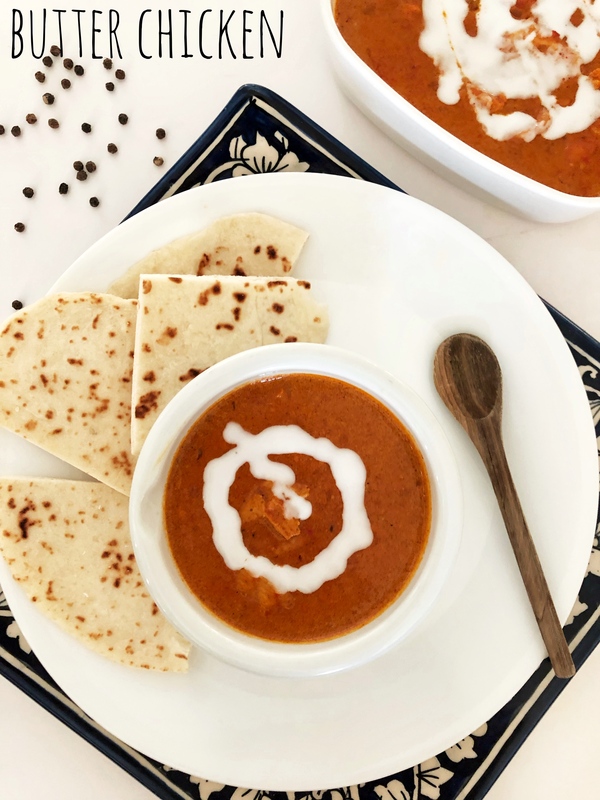 We love Flora’s Butter Chicken! 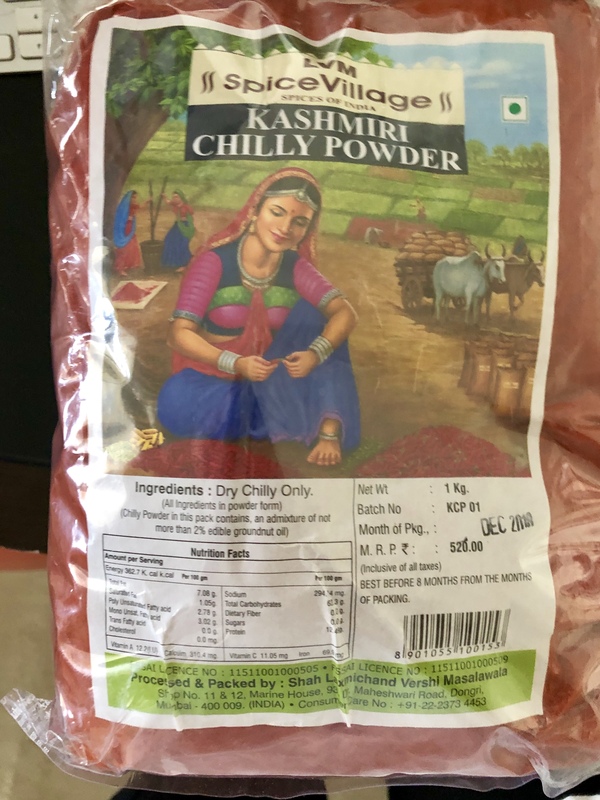 Kashmiri chilli powder adds spice to the recipe without extra heat. If you can’t find this spice, you can substitute with a small amount of cayenne pepper. Garam Masala powder is also a flavor highlight. Some recipes call for cream, others use coconut milk. We like adding both coconut milk and cream. A touch of coconut gives depth and a slight sweetness while cream gives good flavor and velvety texture. 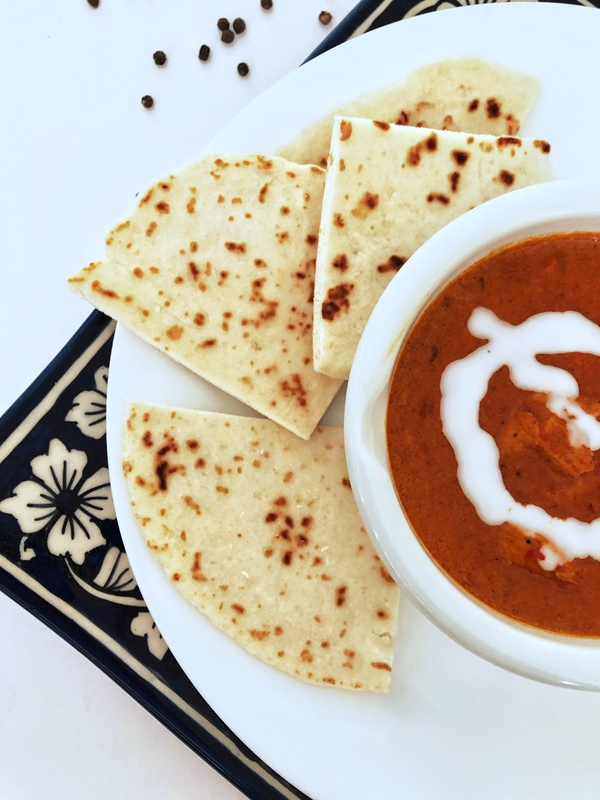 Butter Chicken is excellent served with naan bread or over rice. 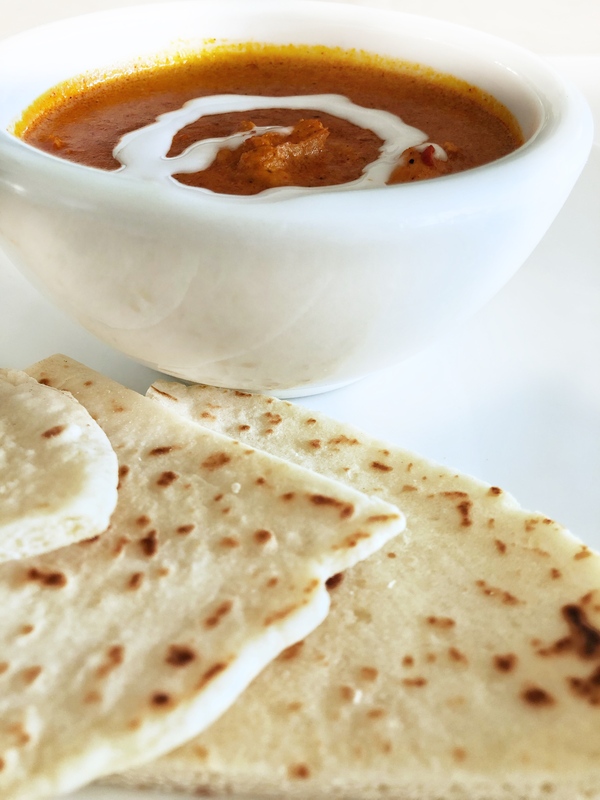 Indian Cuisine is known for its bounty of fresh ingredients and this recipe is no exception. The fresh tomatoes, garlic, ginger, and other spices elevate the marinade and sauce. Place chicken pieces in medium bowl to marinate. Add garlic, chili powder, fresh ginger and salt to chicken and gently combine. Set aside to marinate 15 minutes. Heat oil in a large frying pan to medium heat. Place marinated chicken pieces in frying pan and stir fry chicken pieces until they are cooked through. Place in a clean bowl. Pour 1 Tablespoon oil in the pan you used for the chicken. Heat to medium and sauté onions. Add Tomatoes, cashew nuts, garlic and salt. Stir over heat until blended. Add Garam Masala, Kashmiri Chili powder and ginger. Continue stirring. Add coconut milk and water. Stir. Simmer 15-20 minutes. Let cool a bit before pouring into a deep mixing bowl. Use an immersion blender (or you can pour mixture into your standing blender) and puree until smooth. Pour the sauce through a strainer to remove any tomatoes seeds and skin. Let simmer 5- 7 minutes. Swirl a Tablespoon of cream over top.